This piece is clearly over the top. In a very good way. 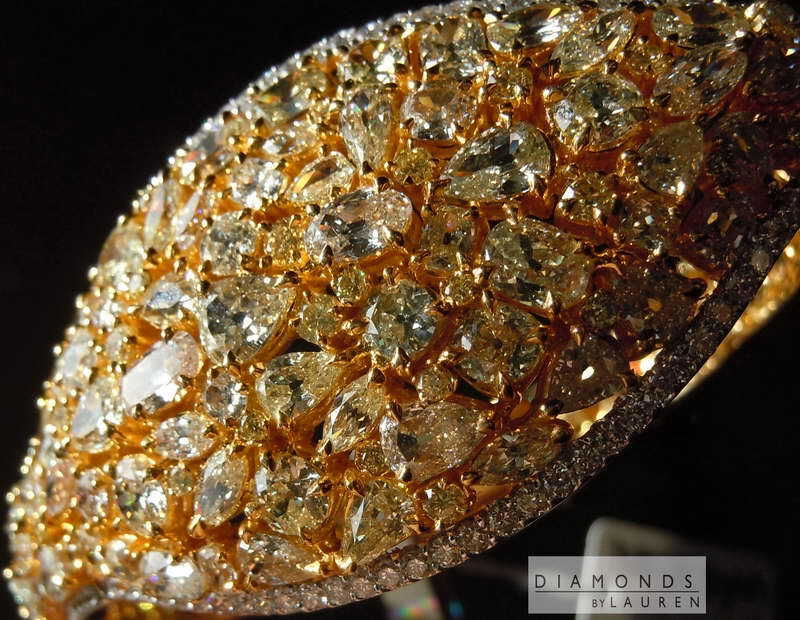 It's hard to know where to begin, because so many aspects of this bracelet are remarkable. Let's start with the 106 center stones. There is a beautiful variety of pear-shaped, ovals, cushions and marquis cuts. Even within the shapes, there are beautiful variations. For example the cushions: some are almost square while others are oblong. 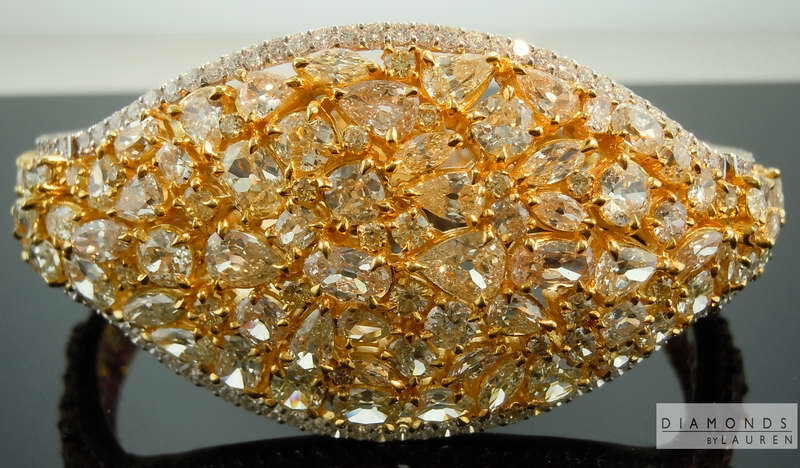 The pear shapes are the largest stones in the piece and there are quite a few of them. 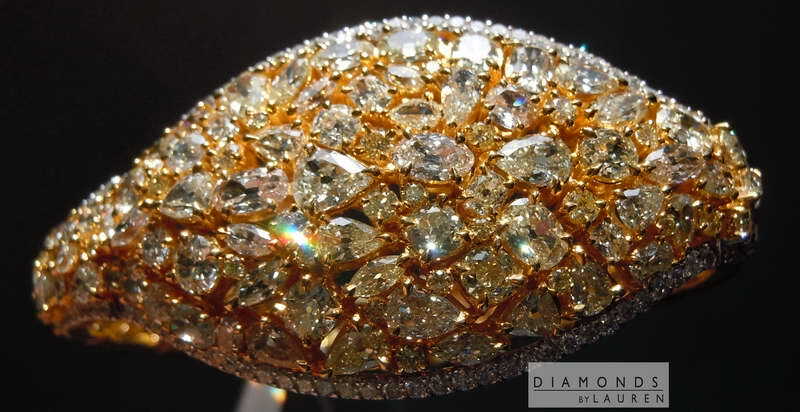 There are also a few antique style round diamonds. 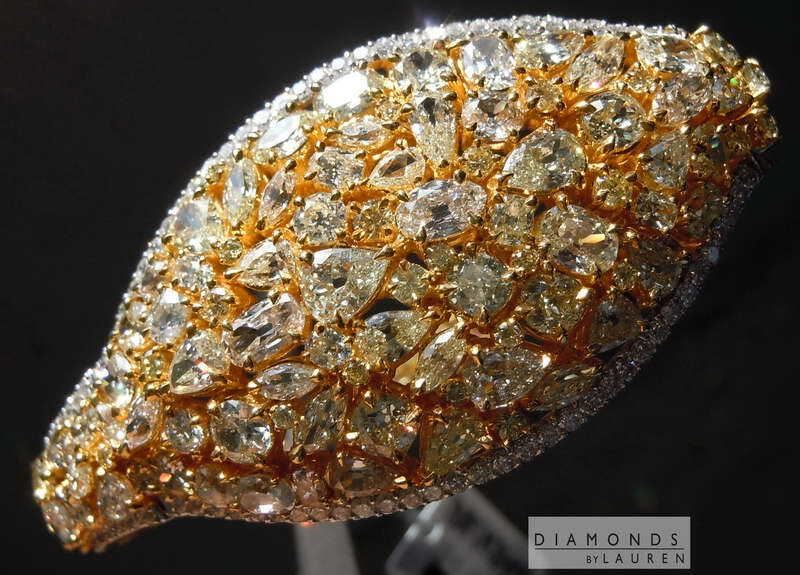 The reason the diamonds look antique is because they all have open culets. They are well cut in the "funky" vein. They have an amazing glittery sparkle. Almost all are VS- there are a few SI's. 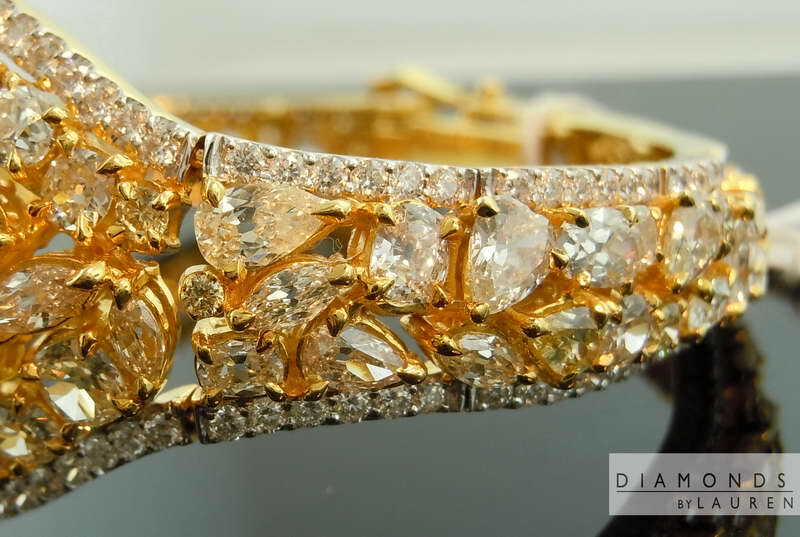 Then we come to the varied colors of these antique style diamonds. Many of them are slightly yellow a few of them show light pink. Some of them look almost greenish. Some look slightly orange. It's a beautiful melange. 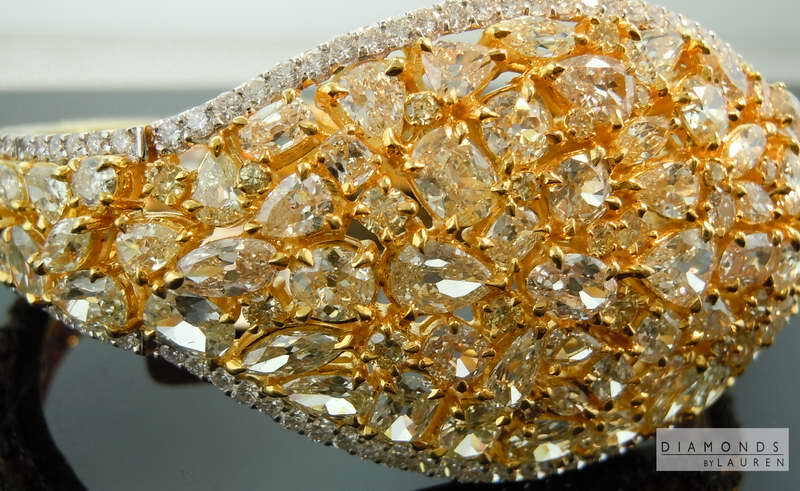 There are also 32 round brilliant fancy yellow diamonds interspersed throughout the antique style stones. 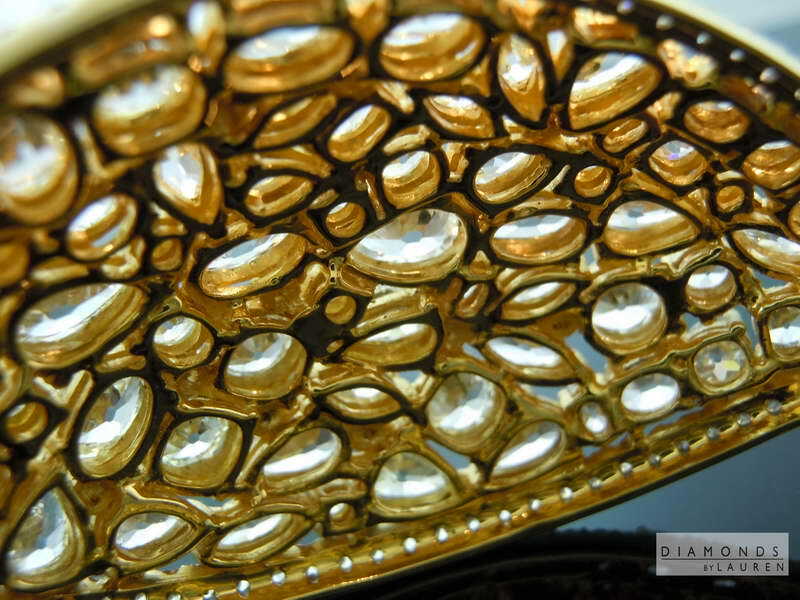 The placement of the stones is a work of art in itself. 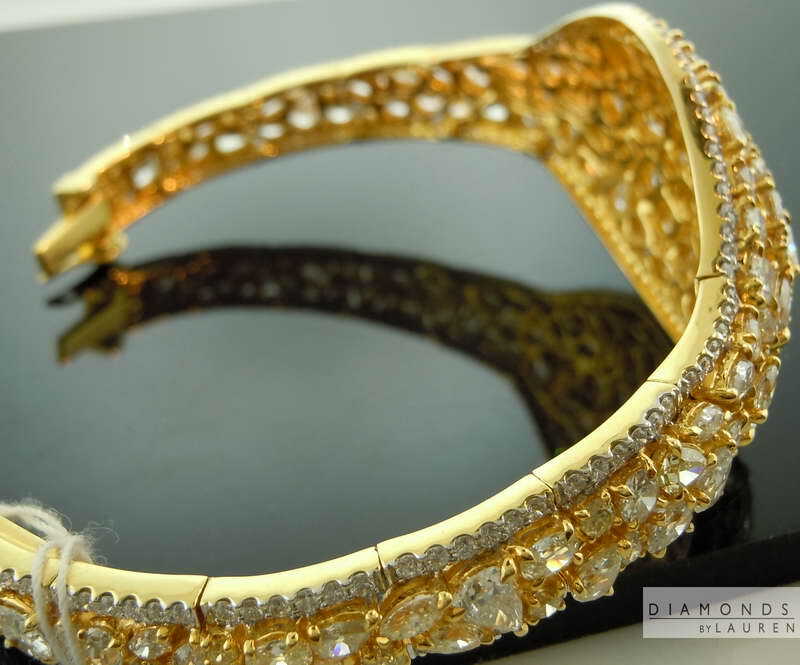 The border of colorless round diamonds stabilizes the piece visually and brings it all together. The workmanship on the piece is impeccable. The clasp as a safety catch and operates surely, with a positive action. The weight of the piece is impressive too. 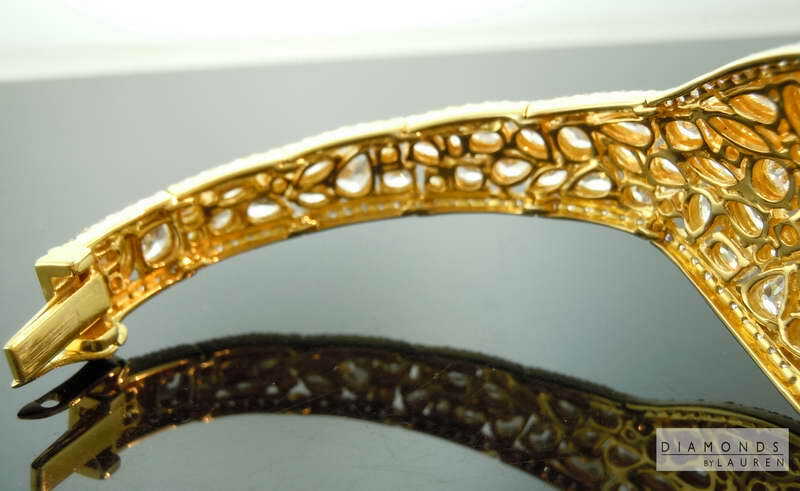 39.33 grams of 18kt Yellow Gold. The piece is mesmerizing it won't let you take your eyes off it.